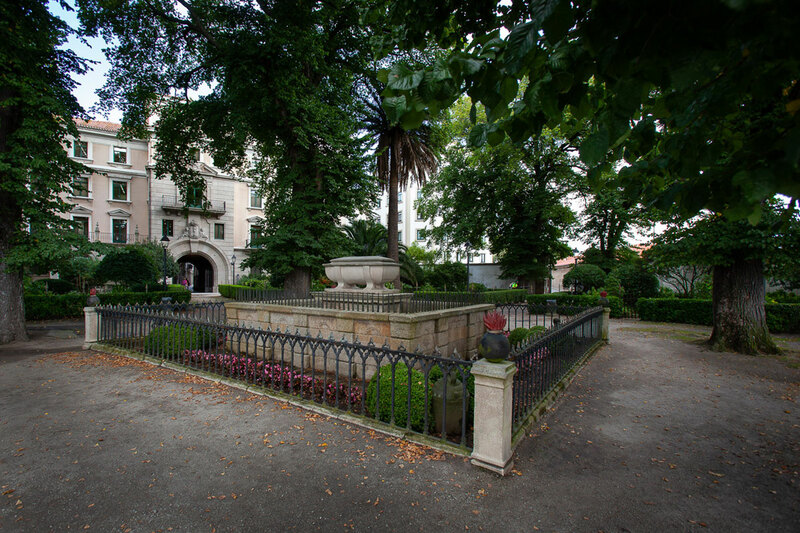 After a walk along the Parrote esplanade, a visit to the Castelo de San Antón and contact with the history of the city at the Archaeological and Historical Museum of A Coruña, it is essential to make a stop to disconnect and contemplate the views offered by the San Carlos Gardens. A quiet and ideal place to relax among hundred-year-old elm trees without getting too far from the city centre. Although it was initially built (14th century) as a defensive fortress, over the years its functionality has changed. As early as 1834, the then governor Don Francisco de Mazarredo transformed it into what it is today, an evocative romantic garden overlooking the port and the city’s coast. One of its most outstanding points is the funeral monument in honour of the British general who took part in the War of Independence together with the Spanish troops, Sir John Moore. A high command of the English army that was sent to our country in 1808 to expel from the territory the Napoleonic troops and that, although he died because of the impact of a cannonball in the Battle of Elviña, his death in the first line of fire and the reshipment of his army was reflected as a true victory. However, despite his efforts, he was unable to prevent the French troops from taking the city. Next to the elegant monument there are also different tombstones and signs in homage to Moore, such as the poetry of Rosalía de Castro in which she laments how far her remains are from her native country. Acknowledgements that are intermingled with a garden full of both autochthonous and exotic tree species that envelop the walkers who approach this point in an almost novel atmosphere. Of course, the two hundred-year-old trees that shade the tomb of the British ‘hero’ deserve special mention. Two giant elms worth seeing up close. It is not difficult to agree that it is a wonderful space if you are looking for tranquillity and peace between the chaos and the hustle and bustle of everyday life. In short, a recommended stop for lovers of botany, history and sunsets overlooking the sea.